A perimeter firewall is your main defence to prevent attackers from the internet into your private network. It’s an essential component for detecting and protecting your network from unwanted traffic, potentially dangerous content and intrusion attempts. While a firewall is critical, it can be time consuming and complex to manage with configuration changes, patching and upgrades. With our Managed Firewall solutions you get Next Generation security with proactive maintenance and monitoring. We’ll also do configuration changes, leaving you free to run your business. Eliminate capital investments with an affordable monthly payment option. There’s no need to employ an IT security team as the solution is fully managed by us. Our firewalls are from industry leader Fortigate, offering next generation capabilities including Unified Threat Management to protect against the latest cyber threats. Protect mission critical applications knowing you are using one of the best in class. We do everything for you so your firewall is always up to date and patched with latest security updates. With responsive 24×7 remote support and fully certified professionals, your firewall solution is hassle free. Comvergence offers three managed firewall solutions with a range of enhanced options available. All are hosted by us and physical devices are configured in high availability mode, to protect you against an outage should one firewall go offline due to planned or unplanned maintenance. With the platinum protection dedicated option, we can offer you the industry’s most effective next generation features for Fortigate, Unified Threat Management (UTM). An affordable firewall solution offering the most critical features to protect your network. The firewall is hosted on our managed virtual environment. A great solution if you just need basic protection. Our hosted solution which manages your external network traffic across two physical shared firewalls, offering protection against hardware failure and a 99.99% up-time SLA. Gold protection also comes with Application control. Manage application traffic is allowed to and from you network. 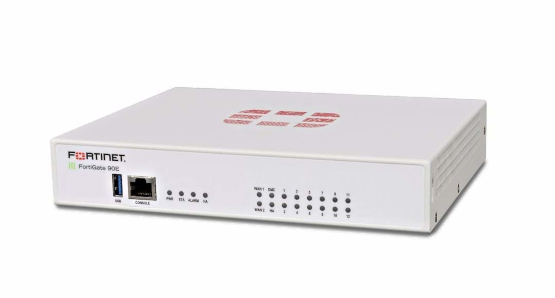 Manages your external network traffic across two physical dedicated firewalls. Firewall resources are not shared, offering you the absolute best service possible with protection against hardware failure and a 99.99% up-time SLA. Platinum protection comes with Application control plus real-time and historical reporting. Unified threat management (UTM), available for Platinum Protection consolidates multiple security and networking functions all on one appliance to protect your businesses while simplifying your infrastructure. This allows you to spend more time and resources on revenue growth and profitability. UTM reduces the risks posed by ransomware, phishing, and other evolving cyber security threats. Control access to what websites your team visits and when. Websites are categorised into six major categories for fast control and the list of unsafe sites is constantly being updates. Identifies thousands of current and future malware variants and optimises your deployment’s security effectiveness and performance. Intrusion prevention (IPS) is a foundational security technology for Next-Generation Firewalls like FortiGate. Blocks approximately 470,000 network intrusions, and new IPS signatures are being created and uploaded to deployed devices every single day. FortiAnalyzer is the security analysis tool built with operations perspective. With action-oriented views and deep drill-down capabilities, FortiAnalyzer not only gives you critical insight into threats, but also accurately scopes risk and pinpoints where immediate response is required.